People prefer to live in weird places, like the towns situated at the base of the volcanoes or at the most remote places within the mountains and deserts or in the monasteries within the Himalayas or high mountain ranges. There are numerous hostile places in the world where despite the odd facts of weather, atmosphere and surroundings people manage to live in. From micro nation to high platforms on mountains, people have inhabited all. Here is the list of top 10 most Bizarre Inhabited Places in the World. 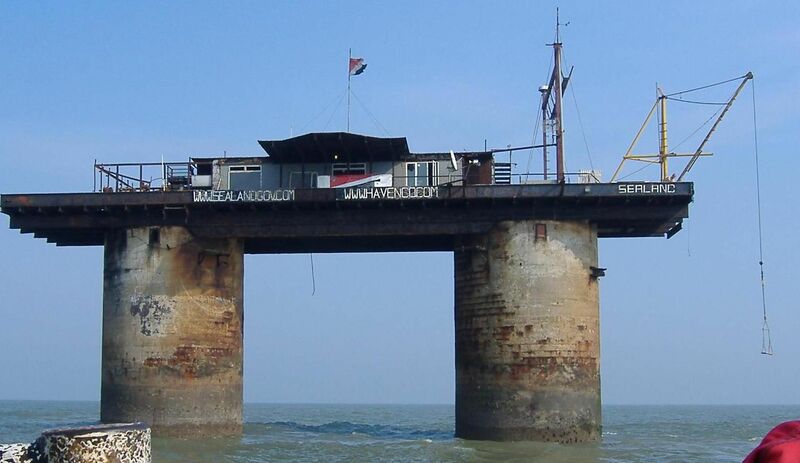 Situated in the North Sea on a British-built platform, the Principality of Sealand is a self declared state or micro nation that is unrecognized by any sovereign nation. The Sealand is situated in an area of 4 Square Kilometer occupied by the family of Paddy Roy Bates. Bates acquired the nation from a pirate radio broadcasters group in 1967 and intended to set his own radio station at the place. However, despite the Principality of Sealand is unrecognized by any other sovereign authority or nation, it claims to be recognized by United Kingdom and Germany. Matmata is a small town in the southern Tunisia. The city has a population of around 2200 people that speaks Berber Language. What makes Matmata bizarre place to live in is the way the city is created. The village like structure of the city is created by digging large pits in the ground. Artificial cave are then dug out around the perimeter of the pits to create room like structures. The city is famous for its massive olive production. Ponte Vecchio viz old bridge is a bridge in Florence in Italy, on which there are shops built all along it. 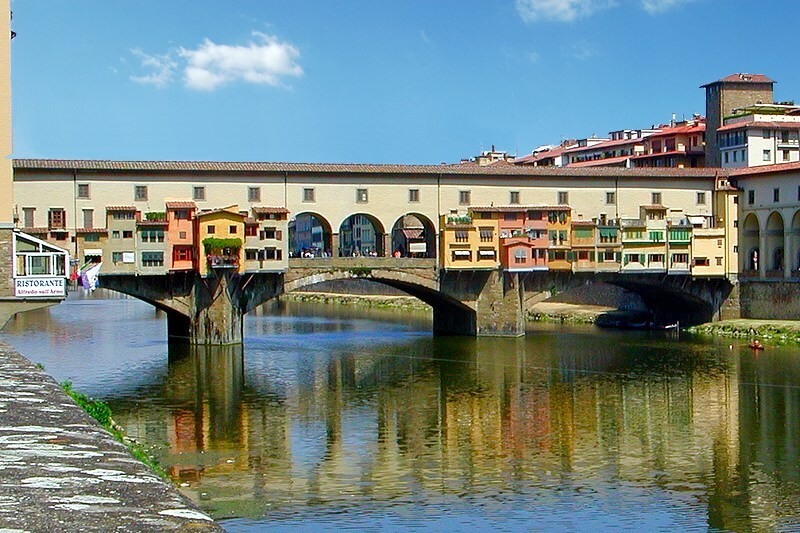 It is a medieval period stone closed bridge built over the Arno River. Previously butchers used to have their shops at the bridge but at present shops are occupied by jewelers and art dealers. The bridge has three segmental arches having a span of 30 meter and 27 meters. The current bridge at river Amo was built in the year 1345 after a flood that destroyed the previous bridge. Leshan, the tallest stone statue of Lord Buddha, is situated in southern Szechuan province in China. The statue is carved out of a cliff by a monk of 8th century during the Tang Dynasty. The statue is 233 feet high overlooks the junction of three rivers- Minijang, Dadu and Qingyi rivers. During its construction a huge amount of stone was removed from the cliff’s face that resulted in the alteration in the currents of the river. The change in the current of the river ultimately made the river safer for the passing ships. Located in the Fafe Mountains of the Northern Portugal, Casa de Penedo is a stone house built within four huge boulders. Famously known as the “House of Stone”, Casa de Penedo was built in the year 1974 upon the remains of four boulder of the Stone Age. The house has a swimming pool carved out of stones, a cozy fireplace and logs for the stairs. As there is no electricity, the people in the house use candle when they are indoors. Setenil de las Bodegas in Spain, is a town of 3,000 inhabitants who are literally staying under a huge rock. Located 157 kilometer away from Cadiz, the town is situated near the River Gorge. The town is famous for its houses are built under the huge rocks. The rock walls are of river Gorge that was created by enlarging natural caves. It is believed that people are living at Setenil since pre-historic times. Cappadocia is an ancient region is Central Anatolia in Turkey. The city is famous for its moon-like topography, underground cities and cave churches. 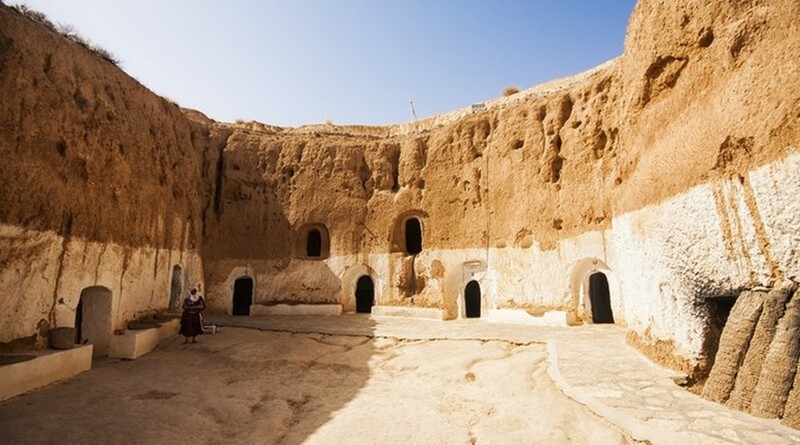 The city has houses carved within the caves that prevents from building the whole house. The unusual rock formation in Cappadocia is the result of eroding rains and winds since thousands of years. The city seems unworldly due to its rock formations that are the result of the natural activities. The name of the city dates back to 6th Century BC which in Luwian Language means “Low Country”. Xuangkong Si is one of the most isolated Monasteries built on a cliff near the Mount Heng in Shanxi province in China. The monastery is also known as the Hanging Temple as the monastery is situated on a cliff at a height of 246 feet high. The monastery is kept on the cliff with the help of oak crossbeams that are half fitted into the cliffs. The monastery is situated on a gorge from where the body of the monastery hangs from the middle of the cliff. The monastery is almost 1400 years old as was originally built in 491. The cliff prevents the monastery from rain, snow and mountains diminishes the damage caused by the sunshine. 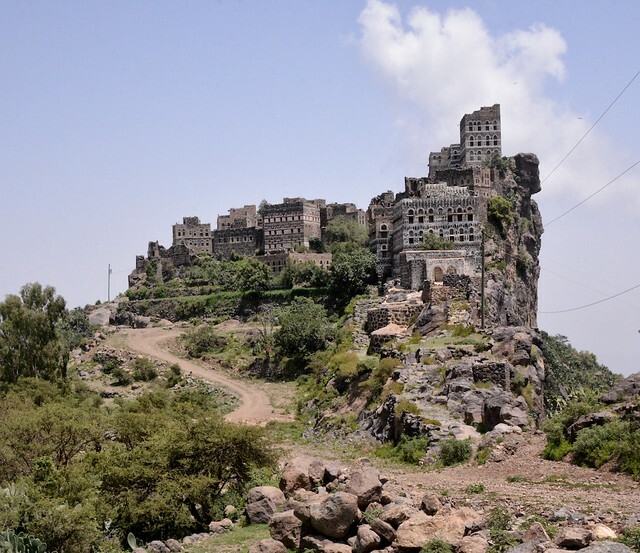 Located between the Tihamah coastal plains and Sana’a, Jabal Haraz is a mountainous region in Yemen. The region is inhabited by the Ism’aili Muslims as Haraz was the stronghold of the Sulaihid state during the 11th century. Jabal haraz is famous of its picturesque beauty of its landscapes. The city has fortified villages at the top of the peaks that are almost inaccessible. The architecture of the towns in Haraz is so formed that it leaves people with lot of space for farming. The buildings in the towns are constructed from Sandstone and Basalt that make it impossible to tell from where the rock and villages begins and ends. Famously known as Meteora meaning “Middle of the Sky”, the Roussanou Monastery is suspended high on natural sandstone rock pillars. Second only to Mount Athos in Greece, Roussanou is the largest and most important Greek orthodox monastery. There are in total six monasteries at Meteora which are included in the World Heritage Site by UNESCO. The monastery was founded by the Maximos and Loasaph of the Loannina during the year 1545. The monastery is consecrate to St. Barbara.